Non-metallic materials and composites are now commonplace in modern vehicle construction, and the need to compute scattering and other electromagnetic phenomena in the presence of material structures has led to the development of new simulation techniques. This book describes a variety of methods for the approximate simulation of material surfaces, and provides the first comprehensive treatment of boundary conditions in electromagnetics. The genesis and properties of impedance, resistive sheet, conductive sheet, generalised (or higher order) and absorbing (or non-reflecting) boundary conditions are discussed. Applications to diffraction by numerous canonical geometries and impedance (coated) structures are presented, and accuracy and uniqueness issues are also addressed, high frequency techniques such as the physical and geometrical theories of diffraction are introduced, and more than i 30 figures illustrate the results, many of which have not appeared previously in the literature. 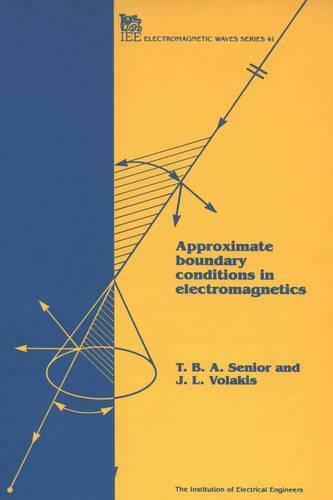 Written by two of the authorities m the field, this graduate-level text should be of interest to all scientists and engineers concerned with the analytical and numerical solution of electromagnetic problems.